I few months ago, I had been eying a used Epiphone Triggerman 60 Guitar Amp at Morelock Music in downtown Knoxville. I had decided I had to get it, and had started planning to go pick it up. But before I could, my lovely and thoughtful girlfriend surprised me by bringing it home as a gift. You can’t beat that! 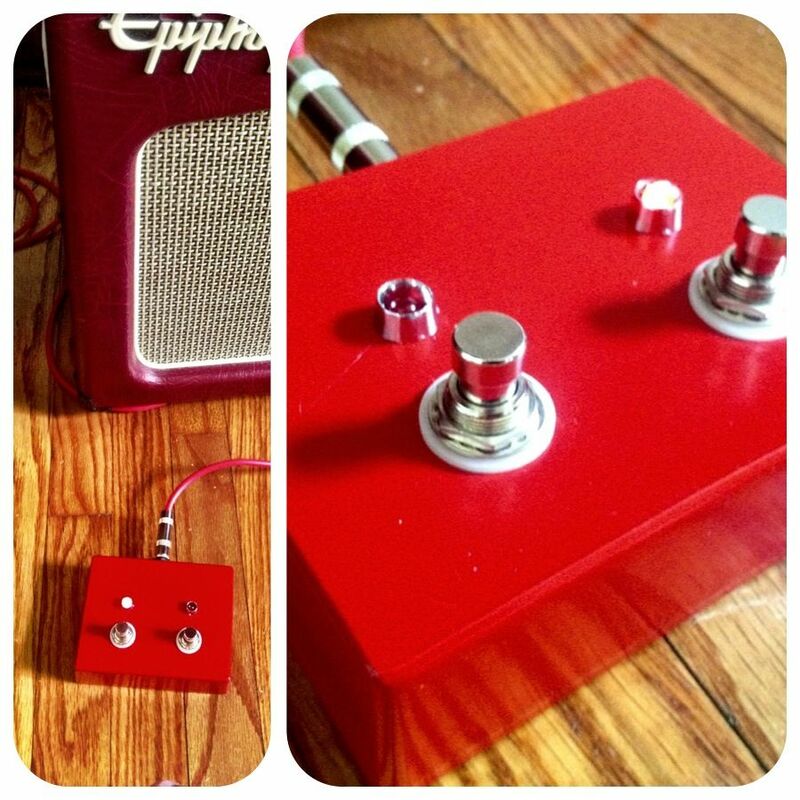 Unfortunately the original footswitch was not included with the amp. I had been searching the web for a replacement but I couldn’t find much information about the amp’s footswitch itself. I have very little experience with electronics, but the concept seemed simple enough, so I decided to make my own. I thought sharing this information might help someone else looking for a replacement footswitch. Since most amp footswitches are fairly similar, this will likely work for a lot of other amps out there. Altogether, The parts for this 2 button DIY guitar amp footswitch cost only around $25. Here is what you’ll need. 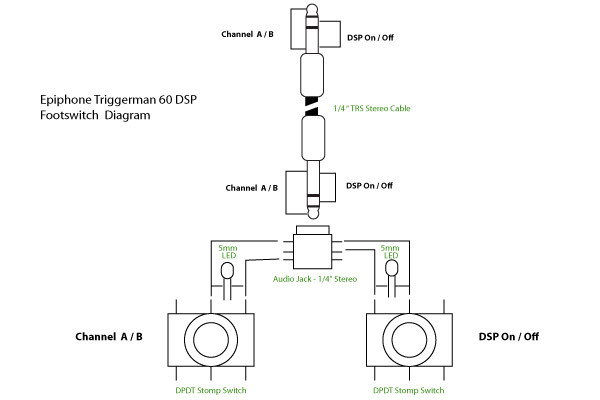 The Epiphone Triggerman 60 has 2 channels, as well as an on / off for the DSP effects, so a two button foot switch was in order. To determine which connections of the pin would control each circuit, I started by simply plugging in a stereo 1/4 in cable into the footswith jack. I used a small copper wire to try out different connection combinations. Based on my tinkering, I drew up a wiring plan as seen below.